Eugenicists sought to “scientifically prove” to the public that characteristics like personal success, criminality, or feeblemindedness were inherited as genetic traits. A popular way to demonstrate this theory was to create family pedigrees highlighting specific character traits. Sir Francis Galton, the founder of eugenics, started the trend of analyzing famous families to emphasize their long-lasting achievements. He argued that successful people were naturally so because of inherited self-motivation and work ethic, rather than external factors, like upbringing. 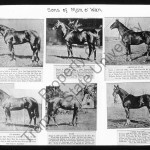 Harry H. Laughlin also created pedigrees of the famous. His research was influenced by the laws of Mendelian inheritance, which stated that a person received half of his or her genes from each parent. However, Laughlin determined that only one-fourth of a person’s traits came from each parent, while the other half came from close relatives. 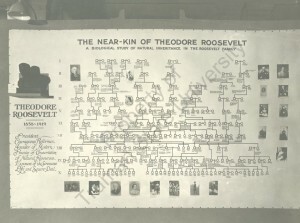 To illustrate this, Laughlin composed a pedigree chart entitled “The Near-Kin of Theodore Roosevelt” for the Third International Eugenics Conference in 1932, and displayed it again in 1933 at the Century of Progress International Exposition in Chicago. 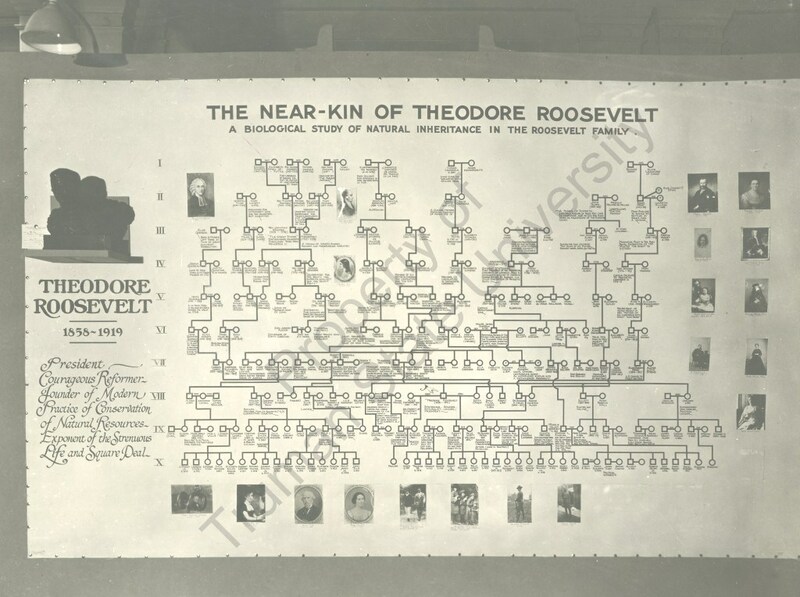 This exhibit capitalized on the public’s reverence for prominent families like the Roosevelts, and showed that fifteen out of Theodore Roosevelt’s thirty closest relatives were gifted in some field, supposedly “proving” Galton’s theory. Eugenicists used pedigrees like this to persuade the public that people like the Roosevelts were prosperous and well-respected because of inherited talents and self-motivation, ignoring other factors like education, family, and wealth. 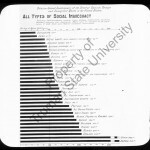 Image Source: International Congress of Eugenics,The Near-Kin of Theodore Roosevelt: A Biological Study of Natural Inheritance in the Roosevelt Family, 1932, Laughlin Black Photo Album, HQ 750 A3 16 1932D Pt.1, page 25, Pickler Library, Truman State University, Kirksville, Missouri.